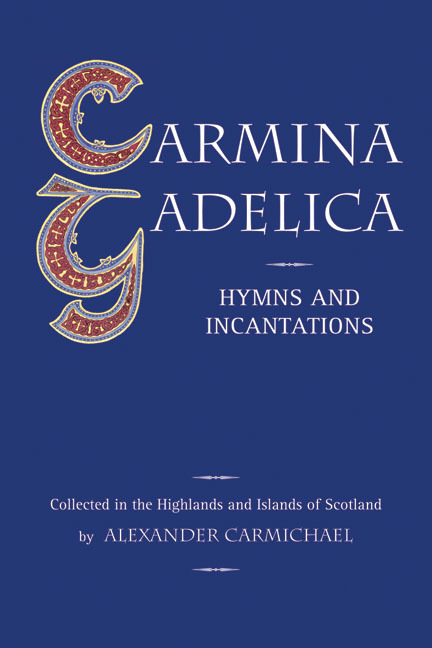 The Carmina Gadelica is the most comprehensive collection of poems and prayers from the Gaelic tradition of oral poetry. 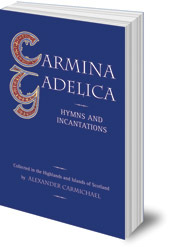 Gathered by Alexander Carmichael, in the Highlands and Islands of Scotland, 'from Arran to Caithness, from Perth to St. Kilda'. The poems had been handed down through the generations in a living oral tradition. This tradition and the way of life which sustained it have now disappeared but these poems and prayers live on to remind us of the faith of the unknown poets who composed them. Previously only available as a bilingual text in six volumes, this one-volume edition in English only is an important contribution to the wider awareness of Celtic literature. John MacInnes' introduction puts the poems in the context of the life and folklore of the Gaelic community.